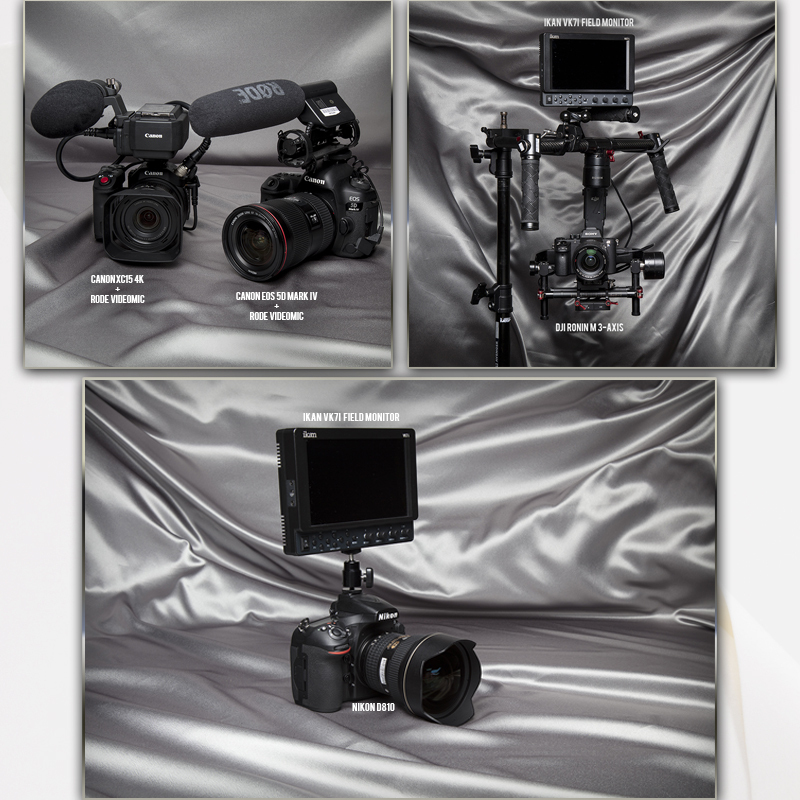 With so much gear out there, videographers may be overwhelmed by what to bring to their next wedding shoot. That’s why we’ve paired some outstanding gear for you! 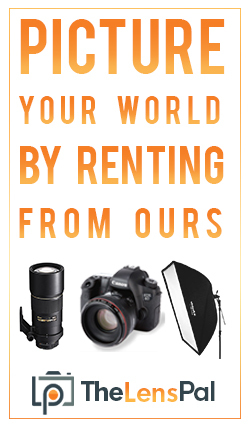 Remember to check out our other wedding gear guides for audio equipment, and Canon, Nikon, and Sony photography. 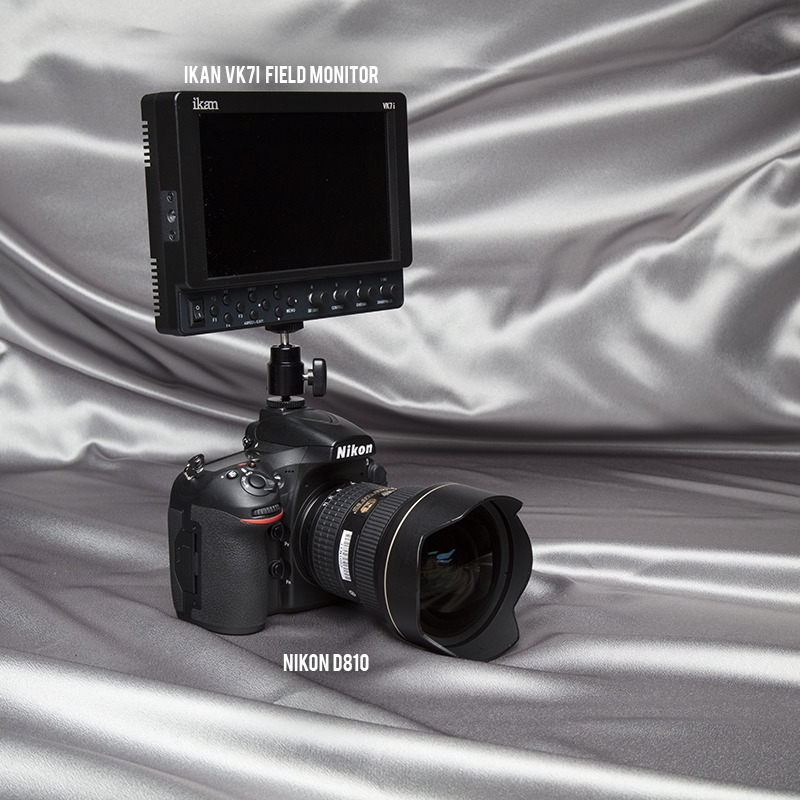 The Nikon D810 & Ikan VK7i field monitor make a perfect pair for your next wedding shoot. The D810 captures beautiful video. With the D810‘s Auto ISO Function, you can transition to different lighting situations without losing image quality. Having the Ikan VK7i field monitor makes it possible to view the footage in real time with amazing color rendition. When looking for a simple set up, the Canon XC15 4k and Rode VideoMic shotgun is hard to beat. The Rode VideoMic offering is ultra portable: just attach the shockmount to the camera’s shoe. The super-cardioid polar pattern attenuates sounds from both sides, making the sound seem closer to the camera. Canon’s XC15 provides 4k video is a simple, portable format perfect for run-and-gun shooting you need to capture those action scenes at your next wedding. 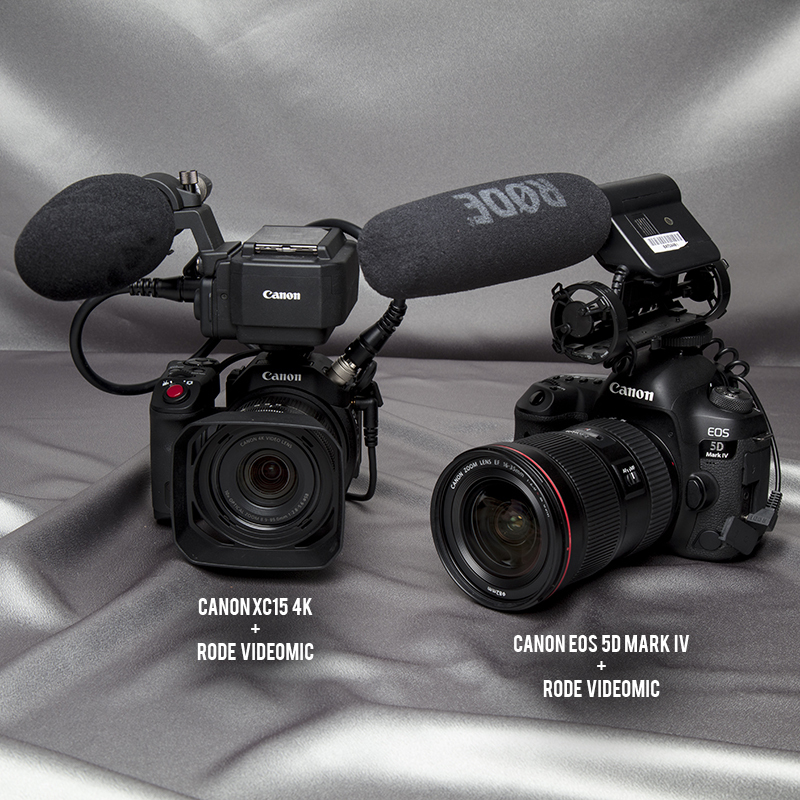 For those who prefer a DSLR setup, we have selected the Canon EOS 5D Mark IV and Rode VideoMic. The DJI Ronin can help you craft incredibly smooth handheld shots without the hand-shake. When paired with a DSLR such as the Sony A7S, it becomes a powerful tool to capture beautiful wedding shots. With silent mode to capture quiet moments, the DJI Ronin is a must-have to wedding videography. 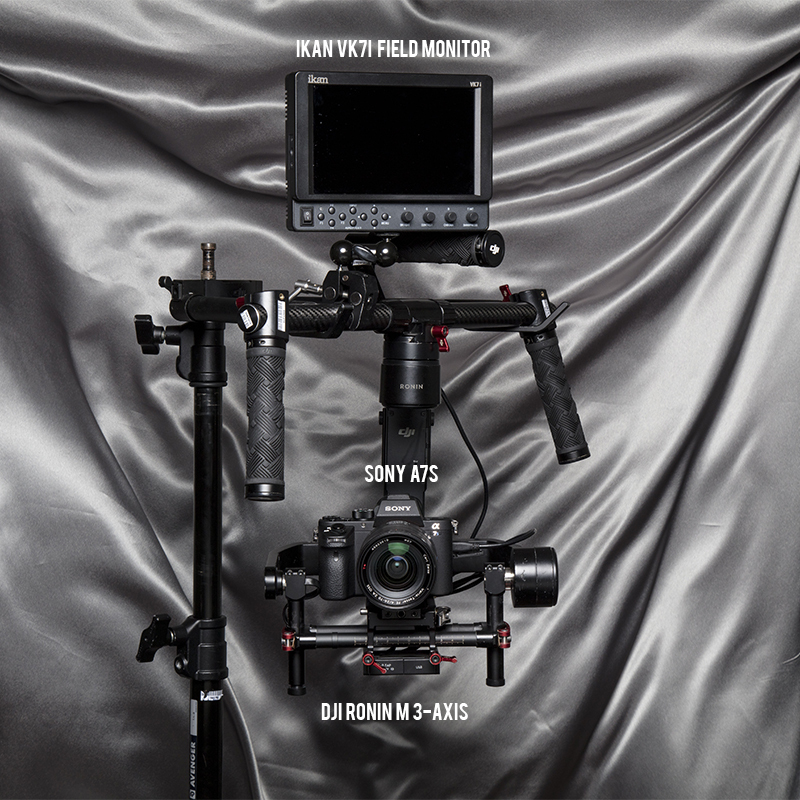 We also combined the DJI Ronin M 3-Axis Gimbal Stabilizer and Sony A7S with the Ikan VK7i Field Monitor. To make sure you’ve got those perfect, once-in-a-lifetime shots, having a field monitor is essential. The Ikan VK7i‘s superb image quality is a fantastic option for wedding videographers shooting complex scenes.